Boy oh boy, do we adore this outfit. Edgy, cool and easily sophisticated with major rocker-girl vibes, this blogger put together a look we can all appreciate. 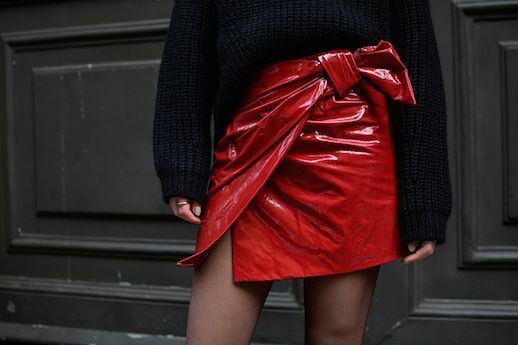 She paired a chunky black sweater with a bold patent-leather red mini skirt (with a bow!) and black combat boots. Still swooning over this one.